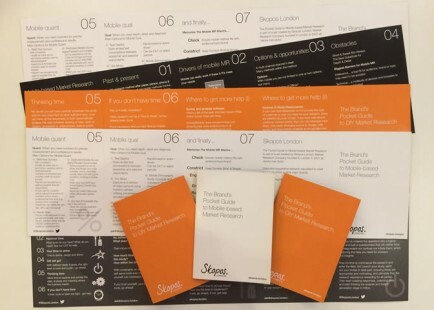 Skopos London launches range of helpful Client Pocket Guides. Skopos loves to help Big Brands. As a sign of this intent the team at Skopos has created a range of FREE pocket guides for brands. This growing set of guides, all covering specific aspects of modern Market Research for Brands, now includes Client-side Communications, DIY MR and Mobile Research. More will be announced in the future, and are likely to cover Stakeholder Communications, Online Communities, Sampling & Statistics and Social Media (Sentiment) Analysis, for instance. All the Skopos Guides have been designed with and for client-side researchers (only). And are easily available, upon request, and in a limited edition BOX-SET for a short time only. Specifically, each has been designed and written by experts in the particular area, with clients and brands consulted on the content to ensure they are as helpful as possible. 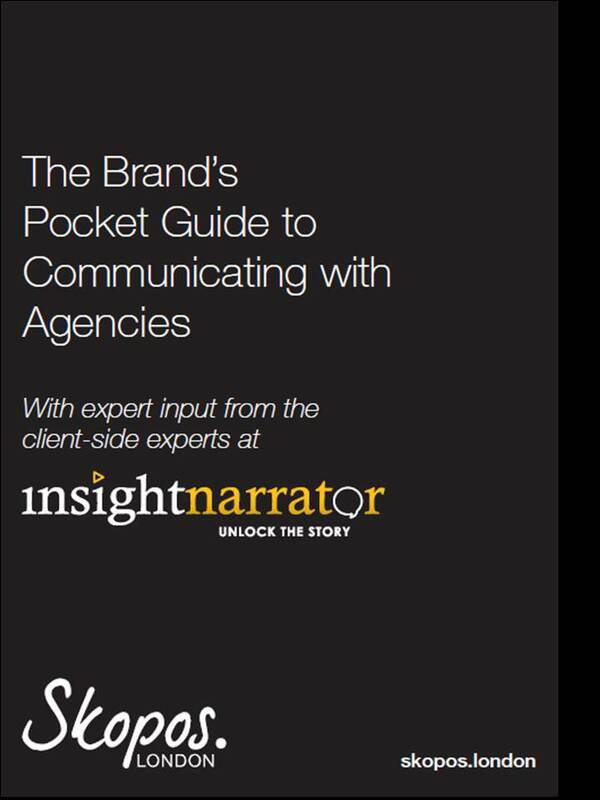 For instance, ex senior client-side researcher and owner of InsightNarrator, Caroline Whitlock, was heavily involved in the creation of and content for our Guide to Communicating with Agencies. Caroline worked client-side for many many years at big brands such as Bass, Royal Mail, Post Office and Masterfoods, and now advises them on story-telling and engagement.